Peter Wardle (1929-2016), Portrait painter. Artist of 10 portraits. In artistic terms, John Latham and Peter Wardle are complete opposites. The former was an extreme radical and deeply unconventional. The latter exemplifies a traditional approach to portraiture. 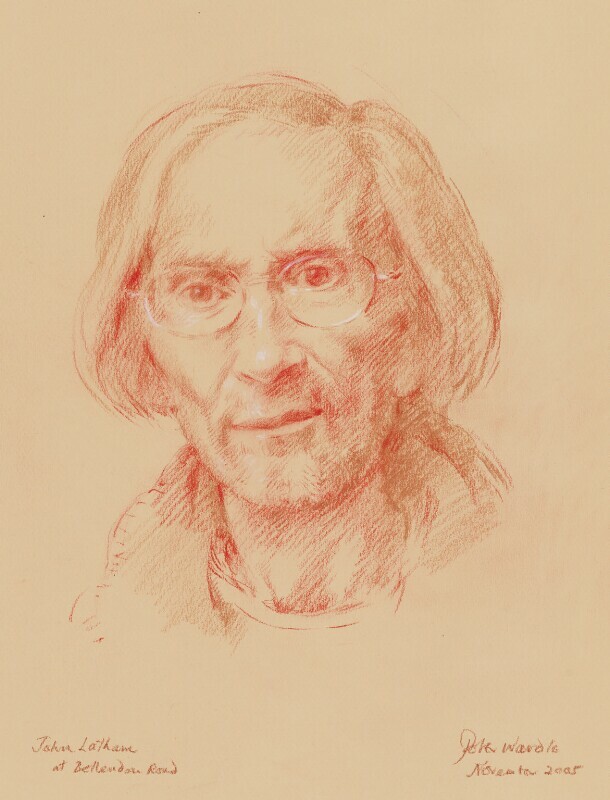 Yet the two were acquainted, and this sympathetic portrait was one of several done from life shortly before Latham's death in January 2006. London suffers its worst bomb attack since the Second World War when four devises are detonated during rush hour on public transport. Three of the bombs went off on tube trains, and one on a bus killing 56 people and injuring 700. A Leeds-based terror cell of British born or raised Islamic extremists committed the attacks. John Sentamu becomes the first black Archbishop of the Church of England. As part of the international Make Poverty History campaign, ten Live 8 concerts are held simultaneously around the world to coincide with the meeting of the G8 and persuade the world's richest countries to 'drop the debt' owed by the world's poorest countries, increase aid to the world's poorest people and negotiate fairer international trade rules. 1,836 die in America as a result of Hurricane Katrina and the subsequent flooding. The hurricane was the most costly in US history and one of the most deadly. It caused the levees of Lake Pontchartrain to break, which flooded 80% of New Orleans. About one million people evacuated the city while 25,000 stayed behind, many taking refuge in the city's Superdome.